It’s been a delicate balance since the day the first tax code was instituted…paying the least amount of taxes, while staying compliant with one’s federal, state and local tax obligations. Our clients, both companies and individuals, are faced with applying ever-changing tax laws to their financial situations. Tax laws continue to be a complex mix of fiscal and social policy, while audits are increasing. At the Certified Public Accounting firm of Maier Markey & Justic LLP, the Auditing and Taxation arm of M Group, our clients have not been caught off guard by the changing rules or the more stringent regulatory climate. We are committed to helping our clients minimize their tax obligations, while ensuring they are kept informed of the changes that apply to them. As our clients businesses grow, or their personal situations change, so to do their tax obligations. Returns vary in complexity, and can be required for federal, state and local income taxes, as well as sales tax, payroll taxes and estate tax. At the same time, as tax codes are changing and becoming more complex, compliance is becoming more stringent. Increased technology has enabled the federal, state and local tax authorities to more closely monitor tax returns, resulting in more audits. Returns need to be compliant, yet most of our clients don’t have the time or capability to understand all of their tax requirements. At Maier Markey & Justic, we prepare returns correctly, on time and with the maximum savings for our clients. Our team of seasoned tax specialists is experienced and up to date with the most current tax regulations, and receives annual updates on current tax law changes – exceeding all continuing professional education requirements. Our professionals also utilize the latest software and top of the line programs for managing tax planning, preparation and research. In addition to being knowledgeable in the tax codes, we become personally involved in our clients' businesses and lives, taking the time to understand their financial needs and properly assess all of their tax obligations. Being well versed in federal, state and local tax codes, on the cutting edge of software technology and partnering closely with our clients to understand their needs, enables our experts to provide accurate advice and prepare quality returns for our clients. 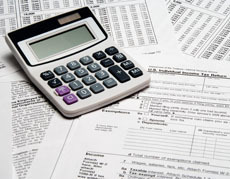 See List of Taxation Services. As Benjamin Franklin once said, “In this world nothing can be said to be certain, except death and taxes.” At Maier Markey & Justic, we prefer the quote from Judge Learned Hand, "Any one may so arrange his affairs that his taxes shall be as low as possible; he is not bound to choose that pattern which will best pay the Treasury; there is not even a patriotic duty to increase one's taxes." Our goal at Maier Markey & Justic is to do more than just prepare timely and accurate returns. We save our clients hundreds of thousands of dollars, by legitimately reducing their tax liabilities. By knowing the tax laws, we can aggressively secure the best results for our clients, while ensuring that their tax returns are compliant.